Possible to change the language from Chinese to English?Can anyone help?? 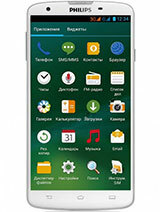 I would like to change the language settings of my Philips v816 from Russian to English. What icons should i follow to do this? !!!!!!!!!! ok! you have told everything about that phone! so can you tell us, how can we buy it!!!? does anyone know where to buy it? have English version or Asian languages only? Good news to you all that this phone it's possible to flash to Android. So all complains about WM6.5 are not important anymore. I have done it, and are using this phone for a couple of weeks. Indeed the battery life time of 30 days is now only 3 to 4 days. GN-0015, 24 Mar 2011Because the real company who is releasing "Philips" phones is actually a China compa... morethe company which is producing philips cell is a joint venture philips 80%/cec20%. recently cec become 100%owner!!! This must be the latest mobile from Philips. is english version available in Hong Kong ?? any idea?? 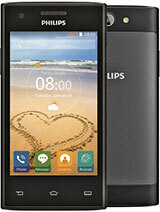 Val, 16 Mar 2011Phihips V816 is designed only for China, any idea why?Because the real company who is releasing "Philips" phones is actually a China company, and maybe that company would prefer to conquer the local market. Staying local is a safe move, maybe the company doesn't want to take risks of going international. Phihips V816 is designed only for China, any idea why? 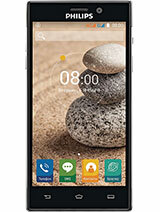 Philips thanks you for support Windows Phone 6.5 .I love this OS and i hope to view in future his new devices . 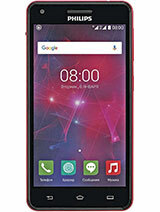 The chief producer of consumer electronics philips company, officially announced smart phone xenium v816, which combines the function dual-SIM (ensuring simultaneous work of two SIM- card) and the operating system Windows mobile 6.5.3 Professional. The device is completed in the form factor monoblock, it works under the operating system Windows mobile and it is supplied with the energy-saving technology xenium, which allow the telephone to work in the standby mode without recharging on the period up to one month. 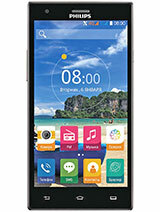 The technical characteristics Of philips xenium v816 are : 3,2- inch resistance sensory display with 480x800 pixel, processor Intel xScale PXA272 with 416 MHz frequency, 180 MB built-in memory, slot for cards microSD, 5 mega-pixel rear camera with built-in auto-focus, Wi-Fi 802.11b/g, Bluetooth 2.1+EDR, GPS- and Fm- receivers, 3.5- mm head sets, illumination sensor, accelerometer and built-in battery with capacity 1530 (ensuring up to 16 hours of work in the conversation regime ). The overall smart phone sizes are equal to: 111 x 55 x 13,9 mm, weight is 146 g., device support networks GSM/GPRS/EDGE 900/1800/1900 MHz. It's ok, but why doesn't have 3G??? A 2004 cellphone for 2011.that's like a joke. Even my grandma can not bear it. Win 6.5 is what I need. Size is good. If it has good processor (at least 500MHz) - I'll buy it! Why are people talking bull about this phone? 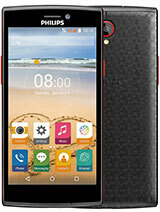 One has to take into consideration that it is designed for the asian market,hence no 3g and maybe win mobile 6.5... I'd like to side with the pro win mobile user earlier,because as it stands right now, windows phone 7 is a piece of crap:intended to work only with high-end(to be read expensive) devices, and not give the option for simply using whatever ringtone you choose to create on your own or receive by bluetooth. Total of 50 user reviews and opinions for Philips V816.